First, please take the time to read our website. Learn how we work, what types of clients we serve, our rates, and other information that you will find useful. The more prepared you are, the better your experience will be. Please have an outline of ideas for your coaching or project, including what you’ve worked on already, and any wish-lists you have. Fill out the appropriate form on our Contact page and describe what you are looking for. We’ll then contact you by email to schedule a complimentary 30 minute phone consultation. Once we mutually agree to work together, we’ll send you an agreement form to sign and an invoice for your first block of pre-paid consulting time or your first coaching package. Please note that we do not start work until the agreement is signed and the invoice is paid. What are your rates for Web Design and Project Consulting? 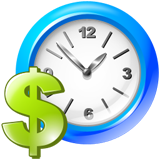 When your time is used, you can simply purchase another block of time of your choosing for any ongoing work! All 4-hour time blocks must be used within one calendar year of purchase. Larger time blocks do not carry an expiration. All pre-paid consulting time is tracked for you transparently on your own client portal webpage. You can track progress on tasks, view all shared documents, upload files to your web designer, and purchase additional blocks of time. A consultation and signed agreement are required before we receive any payment. Our preferred way to receive payments is through PayPal (via your PayPal account or your Credit/Debit Card). We also accept checks and financing through PayPal’s “Bill Me Later” service. Details are provided through PayPal when you click the “Buy Now” button and process your transaction. With Bill Me Later, you will not be charged any interest if your invoice is paid in full within six months of the date of purchase. You may also find our Video Coaching a viable option so that we can answer on-the-spot questions, give feedback, or show you how to do a smaller task. Do you often have a waiting list for new Web or Consulting Clients? On occasion we may have a waiting list to begin projects with new clients. To reserve your space in line for a larger consulting project, you will need to have a completed agreement on file with us and you will need to pay your pre-paid block of time. You are then a client of ours, and we place you at the first available spot in line to get your project completed. We strive to meet client requirements and will always be up-front about our timeframes. The more content you create, and the more backlinks (links to your site on other websites) there are to your site, the greater your chances of being listed and ranked higher in Google. Do you have a blog? When’s the last time you posted to that blog? Are you active in other forums or social media sites? Do you include your website address in every online service you frequent (Facebook, LinkedIn, Twitter posts, YouTube, Google Maps, and others)? All of these efforts will help you achieve a higher ranking in search engines. The more active you are in promoting your site through blog posts with valuable content, guest blogging, and backlinks from sites other than your own website, the better your chances will be in achieving higher Google rankings. Search Engine Optimization is an ONGOING PROCESS. It’s a marathon, and not a sprint. It requires a strategy of active engagement with your audience, and the spread of your reach. If you’re interested in learning more about how search engines work, or how to maximize your chances of getting listed, we also recommend Search Engine Land for some invaluable pointers. We realize that many design firms operate this way. However, all of our Web Design and Project Consulting work is billed in advance with a pre-paid retainer of time. You can choose as few as four hours at a time, or you can purchase larger blocks of time (12 hours or 20 hours) at a discounted rate. All of your pre-paid time is tracked transparently in our Client Portal Page, providing you complete and real-time viewing of your remaining time. Smaller 4-hour blocks of time carry a one year expiration. Larger blocks of time (12 or more hours) when purchased in advance – do not expire, and time is only deducted when work is completed. I really don't like my web designer right now. Can I work with you instead? We’re so sorry you’re having a poor experience with another designer. Finding a trusted and long-term collaborative partner can be hard. We encourage you to take the time to speak candidly with your current designer about your issues to see if you can come to better terms. If that doesn’t work out, we’d love to chat with you about working together after you’ve let your current web designer or consultant know that you are looking elsewhere. This is an important step for us, as we value open, honest, and transparent collaboration. 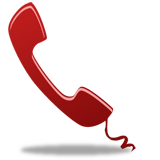 We use Macintosh for all of our website design, consulting, and cloud work. For maximum compatibility, we encourage our project management clients to use LibreOffice, an open-source alternative to Microsoft Office, if we need a common office platform. 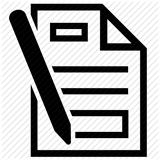 We use many cloud-based services such as Google Docs and Box.com for document management and shared files. In some cases, we’ve noticed that some clients have problems viewing some aspects of their website in various versions of Internet Explorer. Microsoft has been known to sometimes add features and coding to their Internet Explorer browser that don’t always comply with accepted W3C web standards (which is used in WordPress). We design to these W3C standards. We’ve also seen issues occur when a virus protection program interacts with Internet Explorer on some PCs. We’re always willing to try to troubleshoot, and will attempt to create a work-around for compatibility. However, we recommend that our clients use Firefox or Google Chrome for web browsing. If you are required to use Internet Explorer, be sure to check the settings on any virus protection software you may be running (or temporarily disable virus protection, empty your web browser’s cache, and reload your site), and also check your site in another web browser. What's malware, and why should I worry about it? We notice malware attacks mostly with our clients whose websites were created before 2010 (though newer sites can also be succeptible), and the website owner or designer has not upgraded their WordPress installation and plugins to their latest versions on a regular basis. We regularly and proactively upgrade websites for all of our clients that still have existing time with us. We keep all of our clients’ WordPress installations and plugins up to date on a rotating quarterly basis (so long as pre-paid time is available), and also offer a Protection Plus Coverage subscription to update your website monthly. Protection Plus Coverage includes a monthly malware scan, and restoration of your site (for no additional charge) should you experience a debilitating malware attack.